The United Nations is here to provide global guidance and also to help with global frameworks and to set the policies right. But then, it's the member states who have to implement those policies. 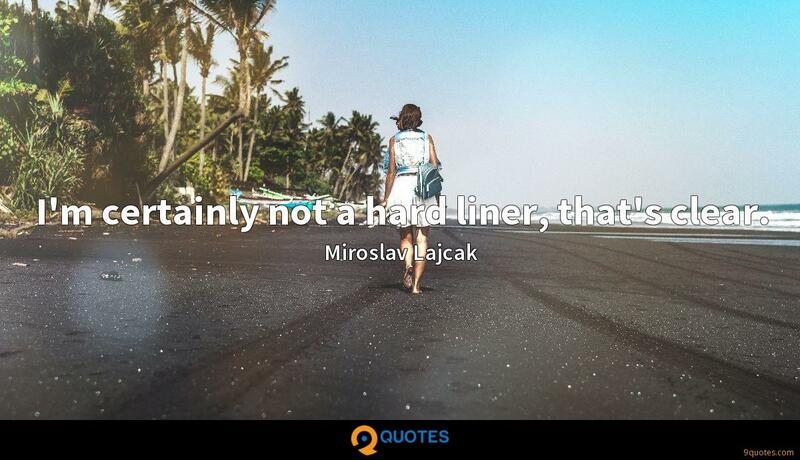 Miroslav Lajcak Quotes. 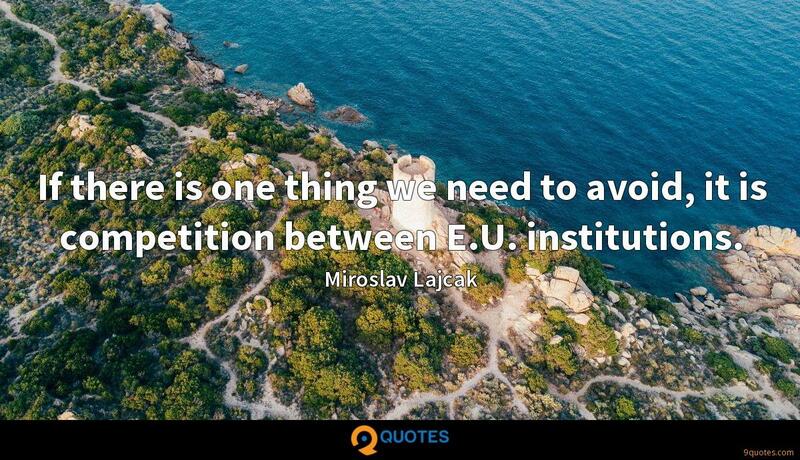 9quotes.com, 2018. http://www.9quotes.com/quote/miroslav-lajcak-622695, accessed 24 April, 2019. 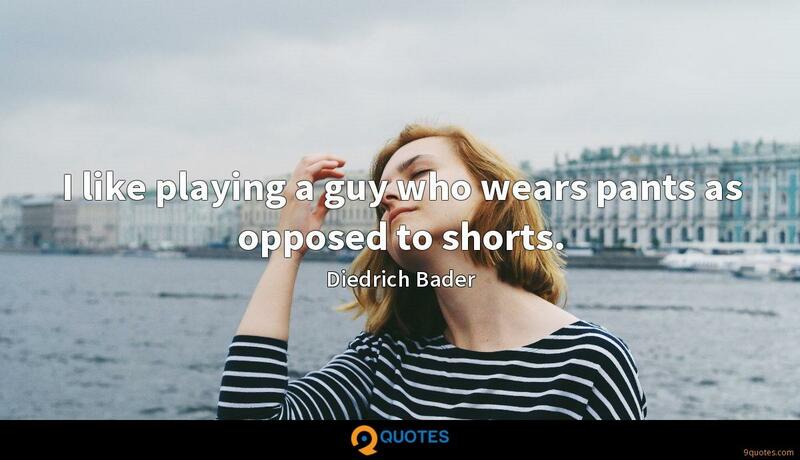 I like playing a guy who wears pants as opposed to shorts. 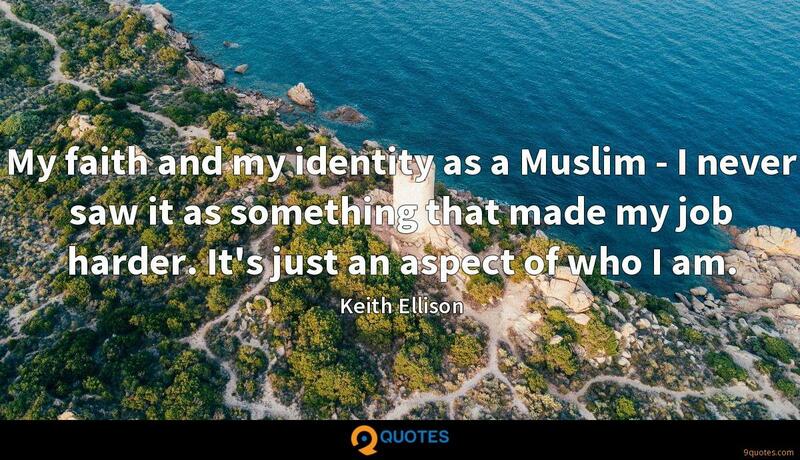 My faith and my identity as a Muslim - I never saw it as something that made my job harder. It's just an aspect of who I am. 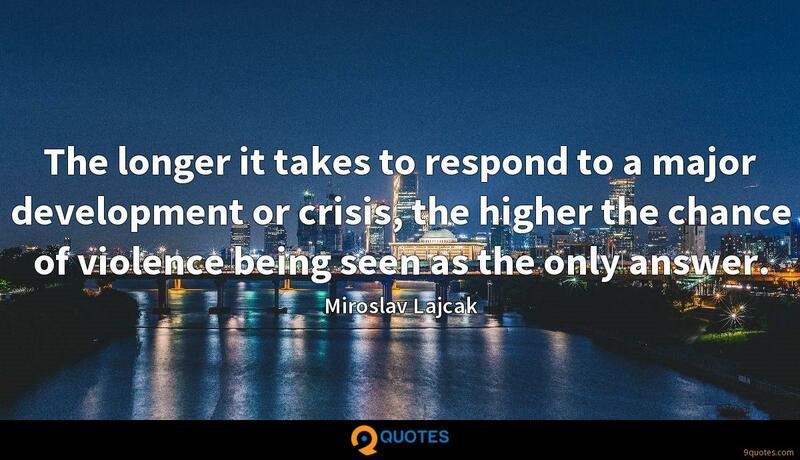 The longer it takes to respond to a major development or crisis, the higher the chance of violence being seen as the only answer. The General Assembly is a unique organ. It's the most representative organ of the United Nations, where all 193 Member States are present. Each has one vote regardless of its size, power, or wealth. That gives the body a huge authority. If there is one thing we need to avoid, it is competition between E.U. 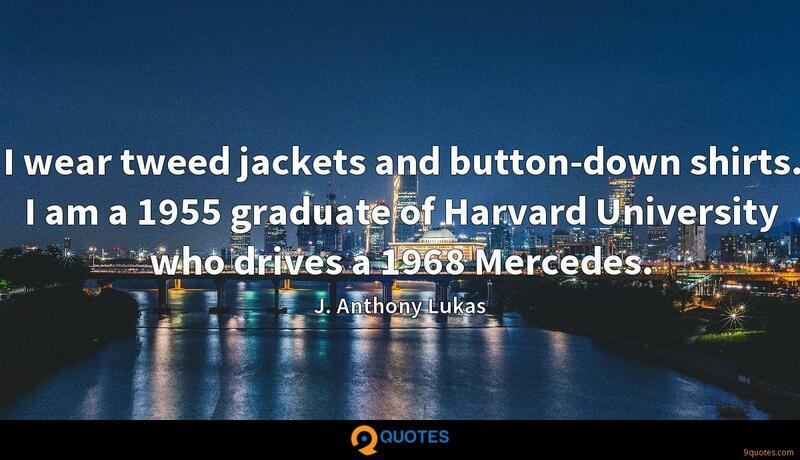 institutions. 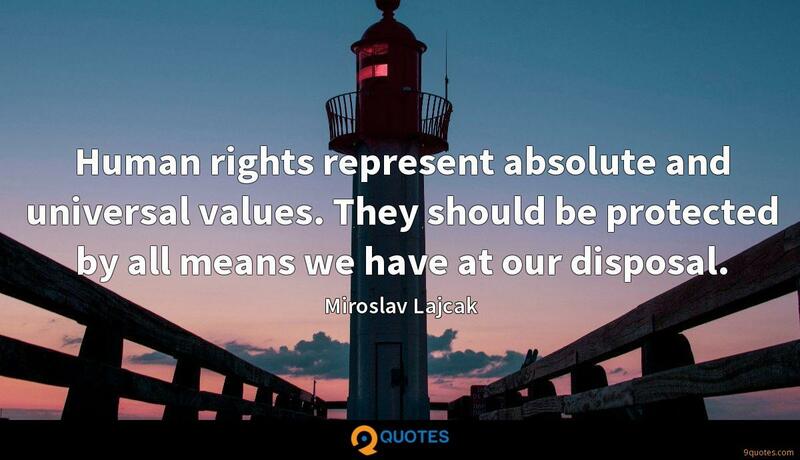 Human rights represent absolute and universal values. They should be protected by all means we have at our disposal. I'm certainly not a hard liner, that's clear.